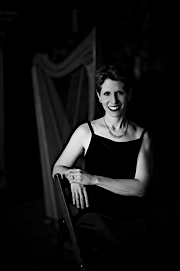 Expect a bit of jazz, a bit of rock, a bit of movie love songs, and expect the unexpected from Grammy® Award winning harpist Anne Roos in this exclusive solo concert. You’ll be treated to gourmet appetizers and wine while you’re entertained under the pines. This isn't just background music at a cocktail party--It's a show! A limited number of tickets are available to this exclusive benefit performance, priced at $125 per person. Sponsorships are available—Receive valuable advertising for your generosity by emailing Craig. Follow the link to purchase tickets before they sell out! Special thanks to our sponsors: Elevated Events, Lake Tahoe Aleworx, and Blue Angel Café.